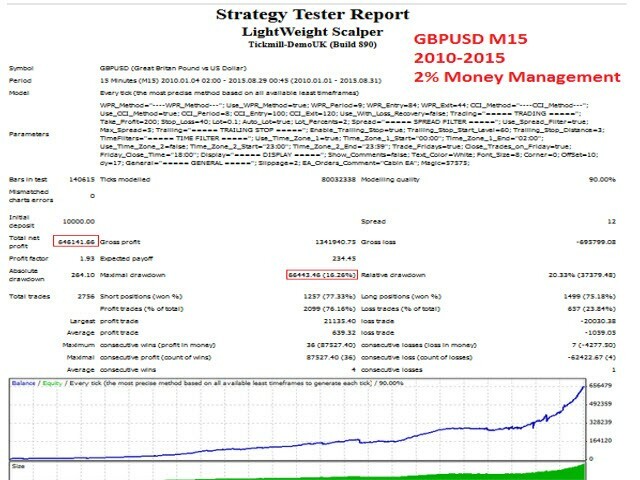 Lightweight Scalper is a scalper expert advisor that it has been designed to work efficiently with the minimum number of parameters and indicators. Simply attach the EA in the chart you wish to trade, modify if you wish some parameters and let the EA run. 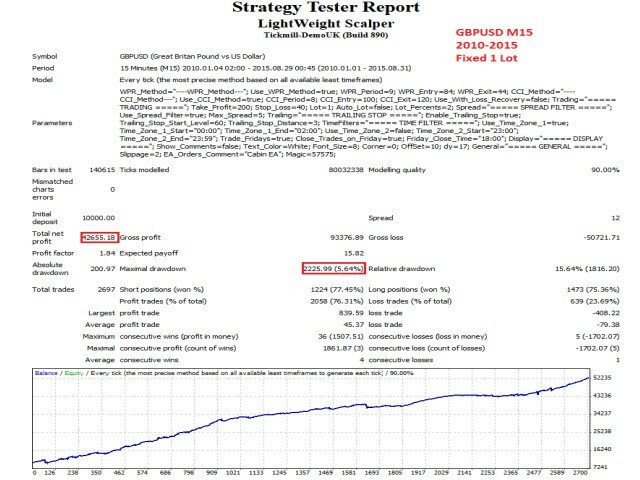 The trading robot has been found to work more efficiently during 22:00-24:00 GMT Hours. Therefore if you wish to follow these trading hours you would need to adjust the time filter to fit the trading hours of your broker. The default settings are for GBPUSD M15. You can however experiment and optimise the EA for other pairs also.